There’s a formula to help managers determine the size of the aluminum bleachers they need for their particular facility. 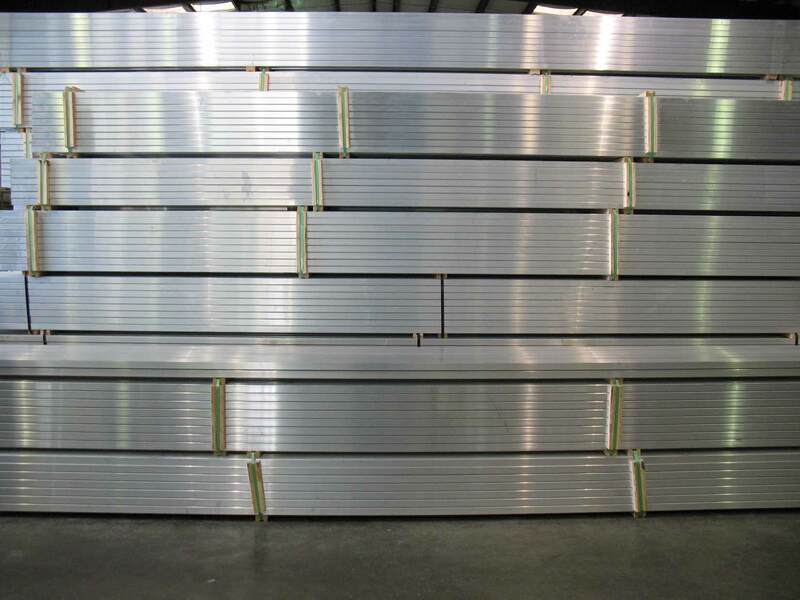 How to find the right number of aluminum bleachers for your venue, field or stadium can sound like a daunting task. All you know is that you’ve gotten to the point that you need bleachers. They’re the best option for affordable, low maintenance, quality seating for large crowds. Quality aluminum bleachers will last, being able to stand up to the changing elements, the raucous fans, and all the different activities that occur on them outside of their intended use as event seating. They are the common sense option for your venue seating needs, but how do you know the right amount of bleachers to put at your field, stadium, or venue? You don’t want to have too few seats for your patrons. Standing room may be OK once in a while, but if people coming to your venue expect to be sitting in the bleachers, it’s in your best interest to have enough seating space available. If not, your field, sidelines, and even common pedestrian walking areas may become dotted with the blankets and folding chairs of seatless spectators as they claim any available area to sit or stand and watch the game or event. They may resort to using stairs as seats, standing in between the aisles, or along the sidelines, potentially causing safety hazards and blocking the view of the seated patrons, or getting in the way of the players or officials. In a worst-case scenario, spectators standing in unauthorized places are subject to getting injured because of their proximity to the game play. The right amount of bleacher seating will keep spectators in the designated viewing areas and out of the unauthorized, potentially dangerous areas. On the other hand, you don’t want to take away all of your available, open space by installing bank after bank of aluminum bleachers only to see half of them remain empty on a regular basis. Installing too many bleachers will not only take away valuable, available space that could be better utilized with something else, it will actually cost you extra in the long run by requiring extra maintenance, extra inspections, and extra hours performing basic cleaning and upkeep. It’s best to install the anticipated number of bleachers needed and then, if necessary, add portable or temporary bleachers to accommodate the additional crowd for a special event. Portable bleachers or transportable aluminum bleachers can be a great addition to your original installed bleachers for those rare, yet important occasions that demand extra seating availability, such as homecoming games, anticipated rivalry games, concerts, or special speaker engagements. But how many bleachers are considered enough? How much bleacher seating should you provide to comfortably accommodate your normal, expected crowds? Should the bleachers be elevated, or non-elevated? There is a way to confidently arrive at the number of recommended bleacher seats for your facility, thereby making sure that the comfort level and enjoyment factor of the guests, patrons, and event spectators at your facility is met on a regular basis. According to industry standards, a space of 18 linear inches is required to accommodate one seated person. There’s your starting point. If you know your typical or average crowd size in attendance at your venue, then you know how many individual seat spaces you will need on a regular basis. Using this standard as an example, a typical 15-foot length of bleachers can expect to accommodate 10 spectators, 15 feet equaling 180 inches, then divided by the 18-inch industry standard, giving you 10 seats. Applying this formula to your needs will give you the amount of total bleacher length needed for your venue. If we assign the values from the above example to a portable type of bleacher, you will be able to seat up to 30 patrons on a 3-row 15-foot length of bleachers. Adding two of these structures on each sideline of an athletic field will provide 60 available seats on each side. For larger or more permanent seating structures, the installed lengths can be manufactured and installed to be longer, adjoined, and centralized, according to what you need to for your specific venue, as long as they are installed in compliance with IBC rules, codes, and specifications. Once the number of bleacher seats needed is determined, another decision will be to make them elevated bleachers or non-elevated bleachers. Elevated bleachers have their first row of seating literally raised up off of the ground, generally a minimum of 32 inches above ground level, requiring an additional stairway to access the first row of seating. The sightlines of the spectators are enhanced, especially in the first row, as they typically don’t have to look around or over any ground level obstacles or foot traffic that is present during the event. Elevated bleacher systems must be IBC code compliant, including their components, which typically include walkway platforms with risers and double wide foot planks, entry and exit egress points, stairways, ramps, guardrails, and handrails. Non-elevated bleacher structures have their first row of seating positioned approximately 17 inches up from ground level, where those seated in that first row will actually have their feet on the ground while seated. These structures do not need the extra walkway and stairs for access and can be used in both indoor and outdoor installations. Like the elevated installations, they require IBC code compliance, complete with proper ground anchoring for spectator safety. You know that your field, venue, or stadium is an awesome place to watch the game or special event. The only thing missing is a quality place for the patrons to sit, relax, and enjoy the experience. Quality bleachers are a great place to start, but the right amount of aluminum bleachers can make the experience of the viewer and venue manager enjoyable, comfortable, and trouble free. Using the industry standard formula for bleacher seats needed, you can confidently come up with the precise number of bleacher seat spaces needed to comfortably accommodate your normal anticipated amount of patrons. With the proper amount of bleachers installed, it will be easier to schedule additional activities to be held at the venue. Event managers will be assured that there will be seating available for all who want to come to the game, show, or field activity. Your field or venue becomes complete when there are adequate aluminum bleachers available for patrons to sit, relax, and enjoy the day surrounded by others with common interests.